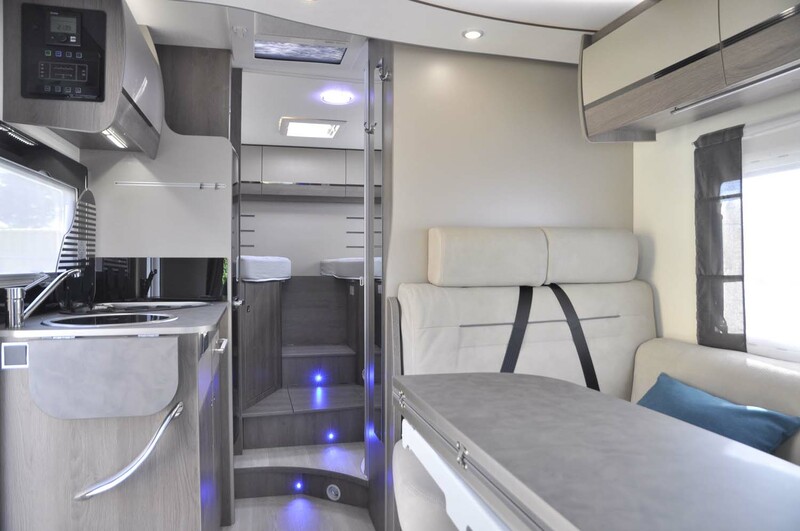 For those preferring a more traditional layout, the 627 GA offers twin single beds at the rear which convert to a double, over a smallish garage beneath. Mid kitchen and washroom with spacious forward lounge and optional drop-down double bed above. 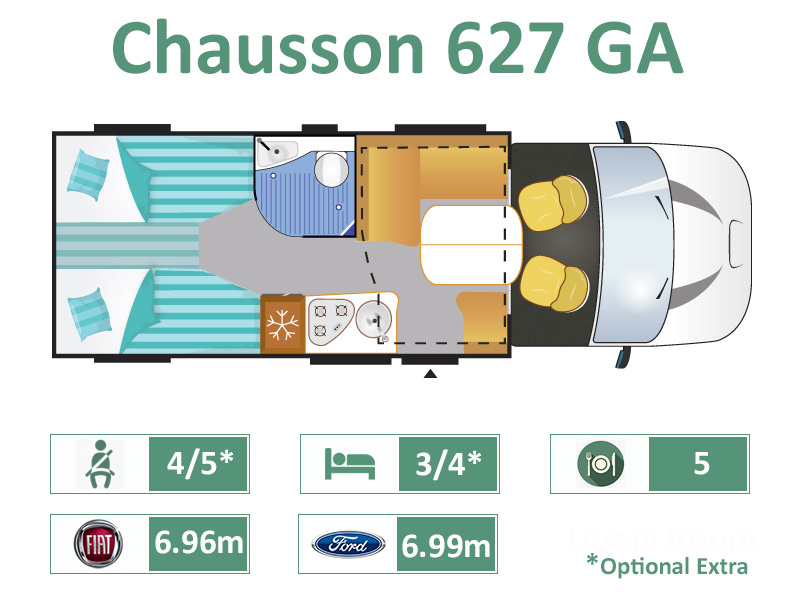 Capable of accommodating up to 4 persons, the 627 is just 7 x metres long. 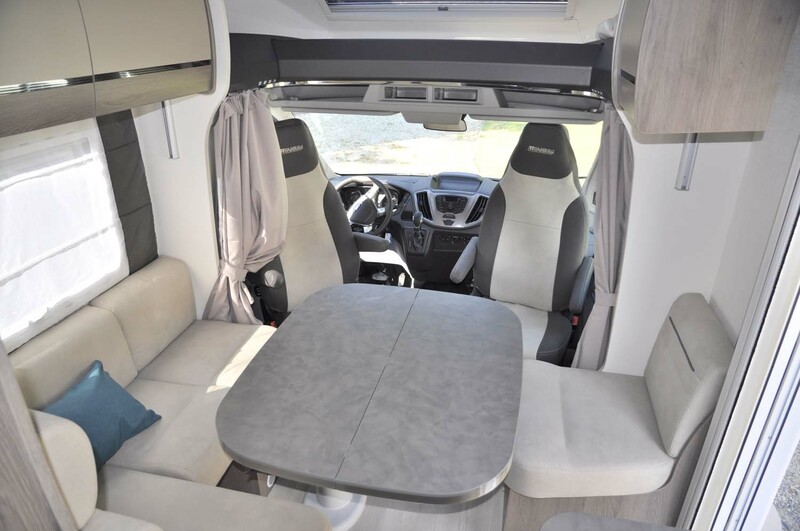 Available in the Welcome or Welcome Premium specifications and on the Fiat or Ford chassis with manual or automatic transmissions, or in the Titanium specification on the Ford chassis with Automatic as standard.